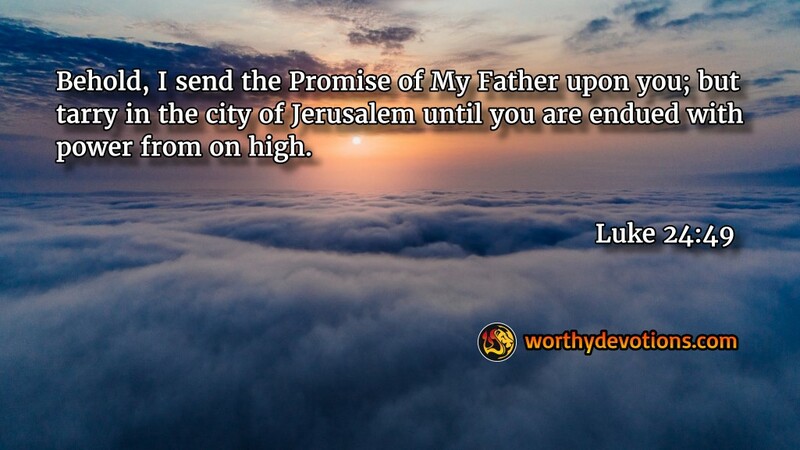 Luke 24:49 Behold, I send the Promise of My Father upon you; but tarry in the city of Jerusalem until you are endued with power from on high. Do you want the fullness of the Spirit in your life? Continue pressing in. Wait with relentless faith and patience. Perseverance is often the critical factor in receiving the promises of God. Our Lord will fulfill every good promise in His perfect time. Get Your Eyes Re-Centered on Him! We will wait...it is easier to wait with a team of 3 or 4 like-minded believers. But then there is a time when, like Yeshua, we must wait in the wilderness alone. For us; however, we are not truly "alone", He is right there with us to encourage us to press in as He pressed in...to wait as He waited. Now we wait with Him...Abba, thank You that we do not need to wait alone. Fill us, fill me to overflowing with Your Spirit. I submit this vessel unto You...and I wait for You. As New Testament believers, when we think of waiting we are fortunate enough to know and understand what we are waiting for (for the most part). I imagine those 50 long days of waiting until Pentecost would have allowed ample time for doubts and insecurities to settle in as the hours marched slowly forward while they waited for... well, they really had no idea what they were waiting for. Yet, like Araham of old, they pressed on as commanded without knowing what they were pressing towards - that's an amazing and inspiring testimony of faith in the face of adversity. It may not be scriptural, but I love what Winston Churchill once said, "If you're going through Hell, keep going." Just think if the thousands had stayed for the promise. Wow. They would all have had the fire of God on them to go and preach. Our world may have been a different place, even now.